The Dyna-Form Mercury Advance Mattress is a Very High Risk mattress that combines the benefits of both dynamic and modern foam technology. The Dyna-Form Mercury Advance is a dynamic mattress replacement system that is combined with the benefits of modern foam technology. 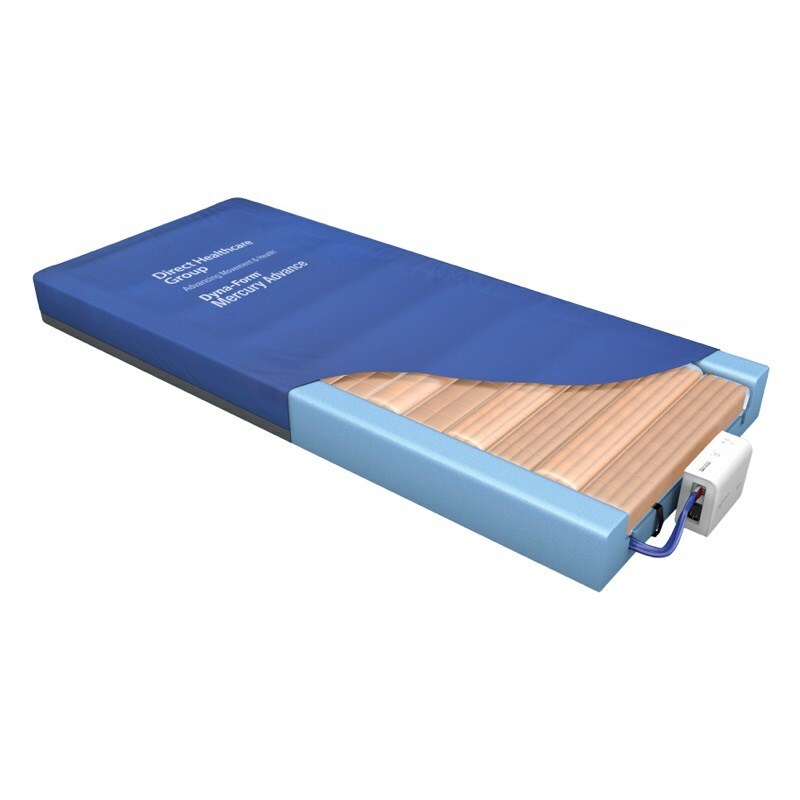 Specifcally designed for users who have been assessed as being at a 'Very High Risk' of pressure damage the Mercury Advance offers extremely high levels of patient comfort. 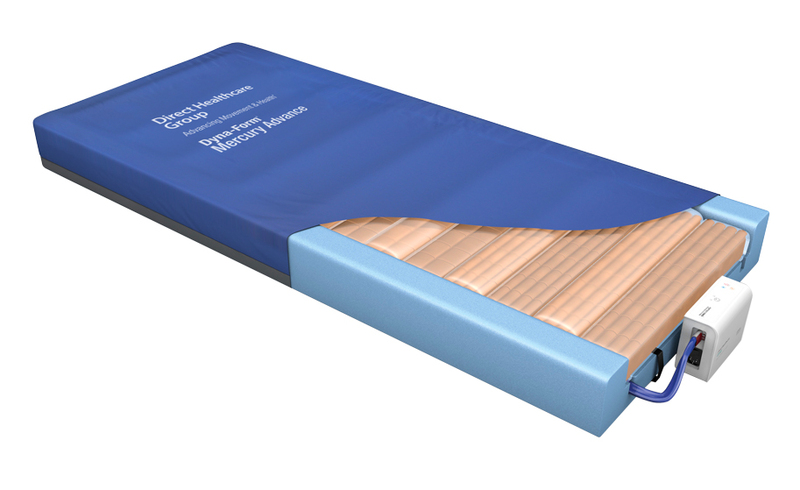 When required this unique system can quickly transform into a dynamic mattress and similarly it's function can be downgraded as the patients condition improves. With a mximum user weight of 40 stone it can also meet the needs of heavier clients. The mattress cover is welded and comprises of a vapour permeable, multi stretch fabric. Bespoke sizes available. Please call us on 0800 910 1864 for further details.